Are you having a hard time deciding on a Costa Rica vacation rental? If you’re planning a family vacation or just looking for vacation rentals in Costa Rica, the task can be daunting. A lot of properties will pop up when you do your search. Which one is the perfect choice for you? In this article I’ll go over a few different things to look at to help you pick the best option for your vacation. I’ve traveled to and from Costa Rica a great deal over the past 20 years, so I’ve experienced the good, the bad, and the ugly. Let’s start with the ugly and work our way back to the good and end on a high note. It’s a good sign when someone gets right back to you when you inquire about a Costa Rica vacation rental. For example, at the Discovery Beach House we usually respond within an hour. If you send an inquiry and it takes four days or a week to get back to you, that’s a bad sign. Think about it, if they don’t respond quickly, how will they respond if you have an issue with their rental? If an air conditioner breaks down or you’re accidently locked out, will they take four days to respond? You don’t want to waste precious vacation time dealing with bad customer service. If you’re looking at a luxury villa, the listing should have several quality photos. If it doesn’t, that’s an ugly and move onto the next one. There are too many amazing places here to settle for a bad one. When you look for vacation rentals in Costa Rica, think about what kind of rental you need. How big is your group? Where are the Costa Rica vacation rentals located? How far off the trodden trail is that villa? Will you need to rent a car to get everywhere? Is there enough parking for the number of cars you rent if you come with a large group? How close is it to amenities like super markets and tours? It’s good to figure out on the map where your vacation rental is in Costa Rica compared to the activities you want to do. Costa Rica vacation rentals have become more popular than ever. I think the more personalized service you receive at a vacation rental in Costa Rica beats a hotel any day. For the good, check to see if concierge service is included with your booking. Is there a human you can call and speak to on the phone? If you have questions before your Costa Rica vacation, they should be there to answer them all in detail. Do they help schedule your transfers, book tours, reserve personal chefs, and help you plan spa treatments? Do they include daily maid service, or do they charge extra? Do they have a full house staff or are you just left to fend for yourself after check-in? The Discovery Beach House has a personal concierge that works with you before your Costa Rica vacation. She’s there for you before, during, and after your arrival. If you need anything, just give her a call. Our concierge can help you book a rental car or can provide private door-to-door transportation from the airport right to our villa. We do all this for free for our guests. We love our clients and go the extra smile for them. Our staff keeps your villa in tip top shape always. They also love to point out monkeys, sloths, and iguanas that visit our gardens, so you’ll never miss out on daily wildlife visits with our staff as your wildlife spotters. FYI, the Discovery Beach House is perfectly located right on the main public beach in Manuel Antonio. You’re within walking distance to restaurants, Manuel Antonio National Park, bars, super markets, ATMs and gift shops. Public transportation is equally convenient with public buses passing by every 20 minutes or our concierge can call a taxi for you. Our staff always delivers five-star customer service. Always. 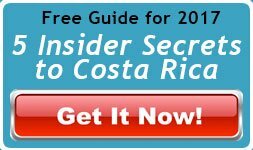 I hope this helps you decide on which vacation rental in Costa Rica to choose. When you get a chance, check out the Discovery Beach House. If there’s anything we can do to help, please contact us via our website. We look forward to your vacation with us. If you haven’t read my other articles, please check them out here. Please follow us on Instagram @discoverybeachouse. For more information or to check our availability, visit our website at Discovery Beach House. Watch our YouTube Channel for more information on Manuel Antonio, the best spot to vacation in Costa Rica. So, you’re looking for the best beaches in Costa Rica? You’re in luck, Costa Rica beaches are some of the most beautiful in the world. The variety of beaches here range from secluded jungle beaches, hidden coves, stunning bays, and mile-long empty beaches, to resort and tourist-packed beaches. Before we get started, I want you to close your eyes for a moment and forget the craziness of your day. Inhale the scent of salt air slowly and deeply, feel fine powdered sand caress your toes, and listen to the waves crash on a deserted beach as a warm tropical breeze grazes your cheek. Ah, don’t you feel better already? If you’re planning a Costa Rica trip, then experiencing the beautiful beaches of Costa Rica is a must. Here’s a quick overview of some of the best beaches in Costa Rica. Let’s start our journey on the Caribbean Coast. The Northeast beaches in Tortuguero are a must if you’re a sea turtle lover. Each year several species of sea turtles make their migration to lay eggs on these remote beaches. South of Limon are Playa Cahuita, Puerto Viejo and Playa Manzanillo. The national park in Cahuita is a beautiful Costa Rica beach that is dotted with hundreds of sand dollars. Puerto Viejo is a favorite among surfers. It’s fun to sit at a local beach restaurant sipping on a fresh tropical drink watching the surfers find that perfect wave. Playa Manzanillo is a secluded beach at the end of a dusty, bumpy dirt road. It’s well worth the drive given the possibility of just you and a couple dolphins enjoying the water. It’s a beautiful rainforest beach with abundant wildlife. The warm crystal blue water and coral reefs are great for snorkeling. I think it’s one of the best beaches in Costa Rica on the Caribbean Coast. Are you ready to head over to the Pacific side? Okay, let’s check out Playa Flamingo in the Northwest of the Guanacaste region. Playa Flamingo gets its name from the pink hue of the white sand beach. That’s right, a pink sand beach. Although it’s very subtle, it’s still pretty amazing. Can you imagine how beautiful an aquamarine wave breaking on a pink sand beach is? One caveat, this beach is a lot more touristy than other Costa Rica beaches and quite busy during the high season. Playa Conchal is another one of Costa Rica’s best beaches. This beach is not as busy as the more popular Tamarido beach nearby. Conchal beach is great for the whole family. The warm tropical water is calm, so not many surfers are here. Hidden beneath the turquoise water are a couple coral reefs. This makes Conchal a perfect place to take a swim and do some snorkeling. Or you can relax with a good book and work on your tan. Located on the Southern tip of the Nicoya peninsula is Montezuma. This beach is lined with beautiful dark volcanic rock, which makes Montezuma unsafe to swim but it’s a favorite spot to catch that next ride of a lifetime among surfers. This lush jungle beach is great to look for hidden gems in the many tide pools at low tide. Just remember to take only photos and leave only wet footprints. In your search for the best beaches in Costa Rica you’ll need to stop by Playa Uvita and the Whale’s Tale. Playa Uvita hides a secret that can only be discovered during low tide. As the water recedes during low tide it uncovers a natural sand bar in the shape of a whale’s tail. If you’re making a day trip from the Discovery Beach House, ask your concierge when low tide is. You won’t want to miss seeing this phenomenon of nature. Playa Ventanas is a stunning beach located in a big cove with beautiful rock features in the Southern Pacific zone. On the right side of the beach you’ll notice two “ventanas” (windows). Over the centuries the powerful ocean waves have worn away two long holes through the rocks. These ventanas can be walked through only during low tide. The dark volcanic rock with lush green rainforest and azure water is something I never get tired of seeing. I’m sure you’ll love it too. I’ve saved the best for last; Manuel Antonio Beach at Manuel Antonio National Park. This is the best beach in all of Costa Rica in my husband David’s and my opinion. But don’t just take it from us. Forbes rated it as one of the top beaches in the world and TripAdvisor rated it the best beach in Central America. It was love at first sight for us. If there were ever a beach to have a love affair with — this is it. Here the mountains and jungle mingle seamlessly with the shore in an elegant union of pristine rainforest and volcanic black rocks that crop up along the soft sand beach. The colorful shells scattered on the beach add to the magic. 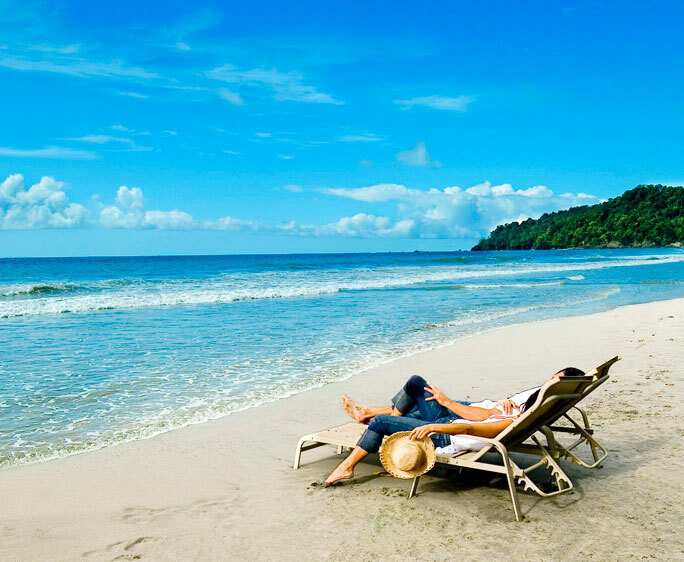 By now you must be dying to get your toes in the sand on one of the best beaches in Costa Rica. Think of how exciting it will be while you watch monkeys swing and jump from tree to tree or a mama sloth and baby sleeping above you on a branch. Manuel Antonio National Park has the rainforest, peaceful hidden coves, and beautiful white sand beaches. There is a ton of wildlife in the area, so you’ll be sure to see some while on your vacation at the Discovery Beach House. Alright, I’m ready to kick off my flip flops and go for a sunset walk on the beach with David and our dogs Frida and Diego. Thanks for coming along with me on this tour of the best beaches in Costa Rica. This list is nowhere near a complete one of all the beautiful beaches here. Costa Rica has over 1,800 kilometers (1,100 miles) of shoreline with gorgeous beaches strung like pearls the length of each coast. By now, I hope you’re so excited about your Costa Rica beach vacation, you can’t wait to book your flight. If you haven’t read my other articles, please check them out here. Please follow us on Instagram @discoverybeachouse. For more information or to check our availability, visit our website at Discovery Beach House. Watch our YouTube Channel for more information on Manuel Antonio, the best spot to vacation in Costa Rica. I find Costa Rica amazing! For such a tiny country, there’s a lot packed into it, from its resplendent wildlife, gorgeous beaches, lush rainforests, picturesque mountains, sweet people, and more. There’s beauty everywhere you look. I always enjoy learning something new and interesting about Costa Rica, so here are a few fun facts about Costa Rica you’ll love. You can drink the water. When people talk about Costa Rica, many think we’re on an island or Costa Rica is a third-world country. Not at all. We’re pretty advanced down here. There’s pure, clean drinking water in all the cities and surrounding areas. So, you can take that water purifier out of your suitcase, order ice in your drinks, and brush your teeth with tap water with no problems. It’s nice not worrying about the drinking water on vacation. Save space in your luggage for souvenirs. The national dish of Costa Rica is “Gallo Pinto,” literally meaning, “Spotted Rooster.” This is normally a breakfast dish of rice and beans (usually black beans) stir-fried together in a pan. Gallo Pinto is served with your choice of scrambled or fried eggs, and a slice of local white cheese or sour cream. Some places add a piece of toast and give meat options like bacon or sausage. While on vacation here, ask your concierge where to try the best Gallo Pinto. You can also have your concierge book a private chef for you and your family to enjoy local and international cuisine. There’s nothing like waking up to the smell of fresh brewed Costa Rican coffee and a big plate of mouthwatering Gallo Pinto to start your day off right. It’s delicious. The national animal is the White-Tailed Deer. I know, right! Probably not what you were expecting. I was surprised myself to learn it’s a White-Tailed Deer. You’ll find it on the 1000 colon bill. I thought it was a Howler Monkey or another primate. We’re lucky at the Discovery Beach House because the White-Tailed Deer can be found nearby in Manuel Antonio National Park. You’ll melt when you see its sweet innocent face, perked ears listening intently. and white fluffy tail bobbing. Costa Rica is GREEN. It isn’t just green with lush tropical rainforests, it’s environmentally-friendly green. Ticos know the natural beauty of Costa Rica is one of its biggest assets. They produce a whopping 90% of their electricity using renewable energy. They’re also proactive and have banned the use of many single-use plastic items, which is great for the wildlife and environment. The Discovery Beach House is part of the solution and has clearly marked recycle bins for easy disposal. Costa Rica has five active volcanoes. Costa Rica was dramatically forged from fiery volcanoes. Although there are no active volcanoes in Manuel Antonio, there are several near San Jose: Irazu, Turrialba, Poas, and Rincon de la Vieja. If you’re exploring other parts of Costa Rica, each of these volcanoes has a dazzling national park worth a visit. Plenty of dormant volcanoes pepper the landscape throughout Costa Rica. You can watch the sunrise on the Caribbean and see the sunset over the Pacific that night. Pretty cool huh? You’d need to rent a car to do this. You could watch the sublime sunrise on the East coast then jump in your car and drive over to the West coast in time to have a cocktail and watch an unforgettably vibrant sunset. It’s a gorgeous drive with vivid landscapes to fill your senses with wonder. The drive takes about six to nine hours depending on where you go on the West coast. Costa Rica holds 5% of the world’s biodiversity. Costa Rica has only about 0.03% of the earth’s surface. However, it packs a whopping 5% of its biodiversity into a teensy-weensy area. We enjoy oodles of wildlife right in our beachfront backyard at the Discovery Beach House. Sip on a delicious freshly brewed cup of coffee, take in the warm morning sun, and voilà, a troop of Capuchin monkeys show up to play around the pool. The baby monkeys are the cutest, most adorable creatures on the planet when they wrestle or play leap frog. They’ll mesmerize you. I’m always delighted and grateful when a troop traipses by. I’m sure you’ll love the monkey show too. Costa Rica has no military. They abolished the army December 1, 1948. Seventy years later, they have no regrets regarding the decision. I think this is a great reflection on the Costa Rican people. They’re peace-loving, non-confrontational, and choose to live a stress-free lifestyle. This leads to the next fun fact about Costa Rica. Costa Rica has one of the top five “Blue Zones” in the world. Blue Zones are special. They are areas of the world where people commonly live well into their 100’s. Researchers believe part of the reason they live so long is a healthy diet, positive social interactions with both family and community, and overall life satisfaction. Notice they didn’t mention what type of car they drive or job they have. Here, a simple, happy life has more value than material things. The Nicoya Peninsula is Costa Rica’s Blue Zone. Costa Rica is the happiest country on earth according to several polls. I think the previous three Costa Rica fun facts help with the overall happiness Costa Ricans share. I know I’m my happiest here in this tropical paradise. For me, there are too many reasons to list why Costa Rica is the happiest country in the world but one more worth mentioning is the ready smile on a Tico’s face. I miss it when I travel. Costa Rica isn’t a rich country by any means; however, its people find value in a happy, family-centered lifestyle. To them a rich life has a more grounded and enduring meaning. By now I bet you can’t wait for your vacation at the Discovery Beach House. I know you’ll love learning new things about this beautiful little place on your visit. It really has so much to offer in such a small package. Greetings from paradise. In part one of my epic day in Costa Rica, I returned to the Discovery Beach House from running errands around Quepos and Manuel Antonio. While I was out and about, I kept thinking to myself how fortunate we are to be in such a special place filled with beauty and so many conveniences to offer. Moving on to the second part of my epic day in Costa Rica, we’ll explore the conveniences you will find in Manuel Antonio. Restaurant row in Manuel Antonio offers a variety of dining options. There’s a sushi place, Mexican food, a bakery, a hole in the wall burger spot and a Costa Rican “soda.” A soda is not a soft drink here, it’s what we call a typical Costa Rican-style restaurant. Get your fill of rice and beans, chicken, pork, or beef, with sides when you order a “casado,” the working man’s lunch. As you walk restaurant row, your nose will be delighted with the aromas of freshly cooked onions, peppers, and savory meats. You hear the “phhssst, phhssst” sounds of the pressure cookers making homemade beans and soups. As you continue down the road, you’ll come to Barba Roja. Barba Roja is one of the first establishments in the Manuel Antonio area. It has been a local hang out ever since it opened in 1975. The dishes are tasty, with delectable sushi and a sunset view to die for! Ask your concierge what specials they’re running. Across the street is a wonderful little deli. Manuel Antonio Deli has scrumptious deli sandwiches, meats, cheeses, and breakfast. They make their own hearty sausages, smoked bacon, corned beef, and zesty hot sauces. I love their sizable breakfast burrito and their divine egg and sausage English muffin. By now all this food talk has made you hungry, right? It’s making me hungry! Next to the deli and across the street are boutiques and handicrafts shops. The Captain’s Booty is located just to the right as you walk into the entrance of Barba Roja. It features only items made in Costa Rica, a rare quality and definitely worth a visit. You are sure to discover the perfect tropical gifts for everyone on your list. There’s even a shop that has clothing made from bamboo, banana, and hemp fibers. Try them on and you will love how soft they feel against your skin. Be sure to visit the renowned coffee shop, Café Milagro. This is the quintessential place to grab an exquisite cup of coffee any time of the day. Café Milagro roasts their own premium coffee locally, David’s and my favorite coffee. I’m sure you’ll find their restaurant menu irresistible, too. If you like live music, Café Milagro is a great spot to catch it every night of the week. We love the variety of live music Manuel Antonio has to offer. Do you want to bust a move or learn salsa dancing? Be sure to ask your concierge where to go for live music each night of the week. Just a few steps from Café Milagro is Plaza Vista shopping center. Here, you can find an ATM to withdraw US dollars or Costa Rican colones. The shopping center offers a full-service bank, charming boutiques, souvenir shops, mini-super, wood-fired pizza restaurant, and the best gym around with an iconic view of Manuel Antonio National Park. If you’d like to work out while on vacation, let our concierge know, as we can get you a discounted day-pass or a multiple day-pass through the Discovery Beach House. As you travel a few more steps past the shopping center, here is another one of my favorite restaurants, Agua Azul. What a cute little place. By little I mean there’s about nine tables, and it gets packed. If you want seafood, this is the place to go. If there’s a birthday in your vacation group, stop by Agua Azul for dinner. Without giving away the birthday surprise, let’s just say it’s loads of fun and the whole restaurant gets into it. Other restaurants we enjoy close by include Z Poolside Bistro and Jolly Roger. These two are next door to each other. Jolly Roger is a pirate-themed chicken wings bar. They have live music on the weekends and 24 different chicken wing sauces to choose from. The sauces range from no spice to super spicy with delectable flavors including garlic, honey, curry, red wine, and of course many buffalo and BBQ sauce choices. So, there’s individual flavors for everyone. Z Poolside Bistro is just that, a great little bistro next to the pool. Bring your suit if you’d like to have lunch or dinner and take a dip to cool off. The fusion of fresh flavors and local ingredients in the dishes are fantastic. Keep heading toward the Discovery Beach House, and you’ll run into an old US C-130 supply plane called El Avion. This supply plane was shot down in Nicaragua during the fight between the Sandinistas and the Contras. It was left abandoned for years until the current owner rescued it, brought it to Manuel Antonio where it found a second life as a restaurant and bar. You can even go inside and snap a few pictures in the cockpit. Indeed, this is a one of a kind experience! After El Avion, the road starts its descent down to the Discovery Beach House and the beach. You’ll know you’ve reached the main beach because it’s the first time you’re actually the same level as the beach, the rest of the time, you are up on the hill. At the beach, you’ll find a couple mini-supers, even more souvenir shops, and a few restaurants. There is another ATM near the Super Pura Vida mini-super. This is the closest ATM to the villa. You will feel so peaceful and secluded at the Discovery Beach house. Yet you are only a short walk from the backyard of the Discovery Beach House to the main beach, shops, bars, and restaurants. I get excited talking about this area and why I love it here so much. It truly is a place to visit and experience. We look forward to your stay with us. If you haven’t read my other articles, please check them out here. Please follow us on Instagram @Discoverybeachouse. For more information or to check our availability, visit our website at Discovery Beach House. Watch our YouTube Channel for more information on Manuel Antonio, the best spot to vacation in Costa Rica. Have you ever had one of those “ah-ha” moments? You know the kind when clarity illuminates like a light bulb in your brain. You’ve figured something new out, and now you must share it. Or maybe it feels like hearing great news, like a family member getting married or earning a big promotion. I’m having one of those remarkable moments right now. I walked into the Discovery Beach House kitchen to set down my groceries when it hit me. Wow, we live in an incredible place. My husband David and I often refer to it as our “heaven on earth” or “having found our paradise.” It’s so beautiful with so many amenities to enjoy. I just had a world class epic day in Costa Rica, right here in Quepos/Manuel Antonio. By now you’ve got to be saying, “Tell me about it.” Let me put these groceries away, change into my flip-flops, and relax with a cold beverage outside by the pool. Ah, much better. At the Discovery Beach House, you have a “chef’s kitchen,” and we encourage you to enjoy it. It’s stocked with items you may need, including spices. Don’t be afraid to get in there and make some tantalizing meals together. Some of the best memories are friends, family, all cooking, laughing and dining together. They say the kitchen is the heart of the house. It definitely is in ours. One of the advantages of this area is the availability of supermarkets where you can grocery shop. Don’t get me wrong, it can be charming to spend the day learning where to find the best fruit, veggie, meat, and other vendors, or to buy eggs from the guy driving around with the loudspeaker mounted on his truck. But it’s convenient to get a variety of products right in town and in one store. Head’s up, you might not find exactly what you’re used to. For us locals, there’s been a vast improvement from even just a few years ago. You can even buy organic produce. Do you have gluten intolerance? You can find many products and restaurants here with gluten-free options. Quepos has grown quite a bit from its humble beginnings as a mangrove turned banana export hub. For a long time, you could only get here via banana train. The streets of Quepos finally got paved only a couple decades ago. Now, there’s so much more to do here, and Quepos is still growing. The seawall or “malecon” in Spanish, is the perfect spot to take a stroll and enjoy an epic sunset view. Imagine sitting on a bench taking in the beautiful scenery, smelling the salt air, the sun slowly dips below the horizon of the Pacific Ocean. Above you, the clouds turn a smattering of red, orange, pink and purple. You soak in the warmth and the charm of local fishing boats puttering by and listen to the rhythmic beat of Latin music. It’s a beautiful place to be, especially when live bands play music on the seawall stage during festivals. Quepos is about six feet below sea-level and the malecon helps prevent floods during heavy rains and high tides. Every Friday night from 5 pm – 9 pm and Saturdays from 7 am – 1 pm, right in the heart of Quepos, across from the seawall and Marina Pez Vela, you will find a variety of fresh produce and artisan goods from the local farmer’s market. Marina Pez Vela is a world-class marina. My husband and I love to go down for a sunset cocktail or to dine at one of the many fine restaurants. Z Gastro Pub is right in the center. At Z they serve a creative seafood menu and marvelous food. If you crave a steak instead, go upstairs to Gabriella’s where you’ll be able to enjoy delicious food and stunning views of the marina and coastline. You’ll also love the Asian fusion at Sunrice. There is a yummy gelato spot, too. Is your mouth watering yet? Marina Pez Vela has unique gift shops, Promerica Bank with ATM’s and a small pharmacy. Mademoiselle Salon is a lovely place to get pampered. We all deserve a little pampering, right ladies? That said, if you ever want to be pampered while on vacation at the Discovery Beach House, please let your concierge know. We can arrange in-villa spa treatments or a visit to a spa or salon for you. Alright, David just reminded me we’re meeting friends for sunset at Barba Roja in Manuel Antonio. Barba Roja is a favorite with locals and tourists alike. I’ll tell you about my epic day in Manuel Antonio in the next article. There’s so much this area has to offer; you really need to come and see it for yourself. We look forward to your vacation with us at the Discovery Beach House. If you haven’t read my articles, please click here for more of my articles. Please follow us on Instagram @discoverybeachouse. For more information or to check availability, please visit Discovery Beach House. You can also check out our YouTube Channel for fun and pertinent information about Manuel Antonio and Quepos, the best spot to vacation in Costa Rica. Yes, Costa Rica is safe. There’s been a few recent incidences in Costa Rica on the news lately. Our hearts go out to the families and friends of the people affected. Although it is not the norm, if you watch your local news, they might give the impression it’s full of crime and tragedies. It’s not. I want to take a few minutes to ease your minds if you have any concerns about vacationing here in paradise. As I said, Costa Rica is safe. Here are some tips on how to help ensure a safe and fun vacation in Costa Rica. It’s mostly using your common sense while traveling. Many tourists arrive and fall in love with the beauty, wildlife, people, laid-back lifestyle, and Pura Vida. Sometimes tourists feel so relaxed, they let their guard down, and do things they may not usually do while at home. Like many places in the US or Europe, there is petty crime. No matter where you live or travel, thieves always look for easy targets. For example, let’s say you have our concierge arrange a car rental for you at the airport. If you prefer, she can have your car delivered right to your door at the Discovery Beach House. Before you load your bags in the car, take off the airline luggage tags. Nothing says new tourist arrival like bag tags flapping around. As you drive there may be places you want to stop and park the car. Make sure to roll up the windows and lock the car before you walk away. It seems simple but many people get excited because they see a sloth or a beautiful waterfall. They jump out of the car and take pictures. They come back and a bag might be missing because they didn’t remember to secure the car. Not saying it will happen but taking simple precautions can help you avoid a problem. I still sometimes forget to lock my doors or roll up my windows, and fortunately my stuff is still there when I get back. If for some reason something does happen, you can always call our concierge. She’ll do her best to help you. When going to the beach, use common sense. You don’t need to bring your bling to the beach. At home, you probably wouldn’t set all your stuff down and then have everyone in your group leave to take a long walk down the beach. It’s good practice to keep an eye on your stuff and don’t walk away. Now those of you staying at the Discovery Beach House shouldn’t worry about this as much because the villa is right on the main beach. If you need anything, you can walk a few steps and get what you need. Or if you want to take a nice long beach walk, set your stuff inside the gate and enjoy your walk. At the Discovery Beach House, we have taken steps to make our guests feel safe and comfortable. We have a 24-hour guard who patrols the grounds while still giving you the privacy you want on vacation. Our staff is like family to us; they love what they do and would never steal anything from our guests. They’re highly respected, paid well according to country standards, and love their jobs. Most of the staff have been working with us between 10 and 17 years. They’re here to help you have a carefree vacation. We also have safes if you would like to keep smaller items secure. Your concierge will show you how it works. I hope this helped ease some concerns about the safety of Costa Rica. Every year Costa Rica receives over 1.5 million tourists. Nearly all of them have an incident-free vacation. The odds are in your favor of having your best vacation ever in Costa Rica. We look forward to your vacation with us. If you haven’t read my other articles, please check them out here. Please follow us on Instagram @discoverybeachouse. If you have any questions or would like more information, please contact us. Check out our YouTube Channel for resources on Manuel Antonio, the best spot to vacation in Costa Rica. Are you all settled in after the holidays? Do you think this year is going to be a great one? I hope you’re as excited as I am for 2019. I was out running errands and caught myself doing something very “Tico.” In case you don’t know, “Tico” is slang for Costa Rican. They have some distinctive customs. I find most of them to be a wonderful way to live a slower, less stressful life. I often catch myself doing things the “Tico” way. Here’s an example that gave me a chuckle. Why I love walking on the shady side of town. From reading some of my other blog postings, you’ve probably discovered winter in the United States is called “verano” or summer in Costa Rica. The average daily temperature is about 86o – 98o F.
By now you must be wondering what they’re doing. After living here for a while, I too look for the shady side of town. Since December through April is hot here, people weave their way, seeking shade until they reach their destination. Usually, there’s shade from trees or buildings. Around noon, when the sun is high in the sky, the shade is at a minimum. You might notice people walking very close to a building, wall, bushes, on sidewalks or roads. That’s because they’re walking in whatever minute amount of shade they can find. It’s the charming little things like walking on the shady side of town that make me love Manuel Antonio and Quepos. I think you’ll enjoy the little things here too. While you’re on vacation at the Discovery Beach House, we hope you discover new ways about life here that you’ll incorporate into your life when you get back home. Sometimes the small things we do make a big difference. We have a lot to learn from doing things the “Tico” way. Living our lives with less stress, taking a moment to say hello to someone, making ourselves take a step back from the hectic pace of life now and then, and walking on the shady side of the street. We look forward to your vacation with us. If you haven’t read my other blog posts, feel free to check them out here. You can follow us on Instagram @discoverybeachouse. If you have any questions or would like more information, please contact us. Watch our YouTube Channel for more information on Manuel Antonio, the best spot to vacation in Costa Rica. If you’ve never been to Costa Rica, Manuel Antonio is the perfect introduction. It offers plenty of options ranging from beachcombing to rappelling off the side of a waterfall. If you’re planning a return trip but have yet to visit Manuel Antonio, it’s a must-do. But don’t make the mistake of making your stay too short. Many vacationers save Manuel Antonio for a couple of days at the end of their trip and regret not going there first and staying longer. Enticement #1: Costa Rica is Ranked the #1 Happiest Country on the Planet. I know I’ve mentioned this elsewhere, but it bears repeating. A British non-profit group, New Economics Foundation, prepared a comprehensive report comparing countries according to the population’s life expectancies, satisfaction with their lives and ecological footprint. NEF used these combined factors to create a “Happy Planet Index” score. The newest report ranks sunny, tropical, fun-loving Costa Rica as the number one place on the planet to live. This makes Costa Rica a three-time winner! The beaches are awesome, and the main bay is dotted with picturesque islands. Manuel Antonio Beach is ranked #1 in Central America. The rain forest grows right down to the sand. Local businesses make the most of the views, so you can enjoy them from your hotel, vacation rental home or from a local restaurant. There are more than 30 restaurants to choose from ranging from inexpensive local owned spots that serve “casados” (local fare consisting of beans, rice, fried plantains, salad and your choice of chicken, fish or beef) to fine dining. This seafood Mecca specializes in fresh fish dishes, but you can also find Italian, Sushi, and Fusion cuisine and more. Manuel Antonio National Park is known as the “jewel of Costa Rica” and is the most popular of the country’s 32 national parks. Its wildlife includes monkeys, birds, sloths, iguanas, toucans and much more. There are 3 gorgeous white sand beaches within the park and a waterfall you can hike to. Hiring a guide is optional. One amazing perk of having a national park in the neighborhood is several Manuel Antonio vacation rental homes are within the natural foraging routes of 3 different species of monkeys. Monkeys in your yard – how cool is that! If you prefer to get in touch with your adventurous side you can dangle from a zip line from the forest canopy, rappel off the side of a waterfall, go white water river rafting or enjoy a number of other activities that will make the hair on the back of your neck stand up and say howdy. Costa Rica has 27 different adventure Tours – and Manuel Antonio has 24 of them! Manuel Antonio has several charming boutique hotels, each with its own flavor. A popular option is vacation rental homes, which far outnumber the hotels. At last count there were 120! They range in price from a few hundred dollars a week for a modest cabin or to several thousand for a spectacular luxury home complete with concierge and chef. Many have incredible hillside ocean views. There’s also a handful of luxury vacation homes right on the beach. You’ve waited all year for this moment. You’ve arrived at your luxury vacation rental home in an exhilarating foreign location. Things are bound to be a bit different from home. Either a rental agent, concierge or homeowner will be there to Meet & Greet you. But there’s more involved than just handing you the keys. Follow these tips to get the most out of your Meet & Greet and maximize your experience at your home-away-from-home. All the adults in your party should accompany your greeter on the house tour.What usually happens is just one person goes on the tour while the rest of the party wanders about checking out the different rooms. Leaving 90% of your group uniformed about important details in the house is a recipe for disaster. Work as a team and eliminate the possibility of being left in the dark literally because the one person who knows what to do when the electricity goes out just ran to the grocery store. Ask to be shown where all the light switches are. Building standards vary from country to country and you don’t want to be groping around in the dark for alight switch. Try all the lights and make sure there are no burnt out bulbs so they can be replaced before you need them. Power outages may be a common occurrence in some foreign countries, so you’ll want to ask about the location of emergency lights, flashlights, candles and matches. Your luxury vacation rental home will likely have air conditioners. Turn each one on briefly to make sure it works then review the functions with your greeter. The last thing you want to happen on a scorching hot day is to discover an air conditioner doesn’t work and the technician can’t come over until tomorrow. The most complicated room in the house is the kitchen as it usually has several appliances. Some foreign countries, especially Latin ones, use propane gas stoves. You’ll want to know how to light the stove and oven if you plan to use them. If there’s a barbecue grill ask how it works if you’re unfamiliar with the model. The operative phrase here is “ask, don’t assume.” Don’t be afraid of sounding dumb if you aren’t sure about something. Your greeter is there to help and inform you. Getting your questions answered during the tour can save you several phone calls later. Everything won’t be exactly like it is at home. Be sure and ask for contact information in case something goes wrong. Also ask for local emergency numbers for the hospital, police and fire department. Chances are you’ll never need them but it’s a good idea to have them close at hand, if nothing else, for peace of mind. So, encourage everyone in your party to be an active participant during the Meet & Greet. Learn all you can about the house and check that everything is in working order. Be sure and ask plenty of questions and you’re bound to have a great experience at your luxury vacation rental. Are you losing sleep over your family’s next foreign destination vacation? Are you worried they’ll get sick, they won’t be safe or just be plain miserable with your choice once they get there? Stop and take a deep breath then let out an enormous sigh of relief because these hidden truths about Costa Rica are about to make your decision a whole lot easier. If you’ve traveled to places like Mexico you’ve probably learned to avoid the Big 3; water, salads and unpeeled fruit. These can all contain bacteria that will ruin a vacation faster than an iguana can snap up a juicy grasshopper. The good news is the tap water is safe to drink in cities and towns throughout Costa Rica. If you don’t even drink the water from your faucet at home, bottled water is readily available everywhere. You can also safely eat all the food including salads. Travelers are just beginning to discover the Pura Vida (pure living) lifestyle enjoyed by Costa Ricans. Ticos don’t rush (with the exception of loco taxi drivers) or let much bother them. According to the New Economics Foundation Costa Ricans live longer, happier and more stress-free lives. They rank Costa Rica #1 on its “Happy Planet Index” making it the favorite nation in which to retire. Perhaps this is why out of a small population of 4.5 million nearly 300,000 expats have taken up residence there. Costa Rica employs more teachers than police, so Its residents hire private security. You’ll find security guards inside malls, on bicycles patrolling parking lots and in banks and many other businesses. Residents of many neighborhoods contribute to the safety of their communities by hiring private guards. A significant number of luxury vacation rental homeowners in Costa Rica are responding to the current global climate of fear by providing security guards for their guests’ peace of mind. In 1948 Costa Rica abolished its army. Since then it’s been a peaceful and democratic nation. Funds formerly spent on the military are now budgeted for education and universal healthcare improving life for the average Costa Rican. Geographically both countries are small and have beautiful mountains, but this moniker was earned by its former president Oscar Arias when he won the Nobel Peace Prize in 1987 for his pivotal role in bringing peace to Central America. So, stop obsessing endlessly over where to reserve your next vacation rental home because these hidden truths will allow your family to eat, drink and be merry in Costa Rica. Exercise the same common sense you would anywhere else in the world and visiting the Happiest Country on the Planet may just turn out to be the most amazing vacation your family has ever had. You’ve booked your luxury vacation rental home in a foreign country. Exciting right? But when was the last you checked your passport? Was it a year ago or more? Did you read the fine print on your rental agreement? Did you double check your flight schedule? These may seem like no-brainer details but overlook and any one of them and your vacation could be ruined. Since 9/11 stricter regulations apply and the country you’re traveling to my require passports to be valid up to 6 months after your travel dates. We live in an ever-changing world and requirements may have changed even if you’ve visited your foreign destination before. Don’t rely on your travel agent to know the newest policies in every country. The reservation agent at your local airport won’t know either. He may board you with a smile, but you can bet the immigration officer at your foreign destination will notice the oversight and send you packing for home. Check the expiration date on your passport at least 30 days before your flight to give you enough time in case you need to renew. You read your Rental Agreement when you first signed it but that may have been months ago and you may have forgotten some important details. When is the security deposit due? Some homeowners allow you to include it with your balance payment 30-60 days or more before your arrival, others want you to bring it in cash and pay when you get there. You don’t want to be embarrassed by showing up at your vacation rental only to discover you should have brought the deposit with you in cash. If you’re traveling to a foreign country most homeowners won’t take checks because they can take up to a month to clear. Some won’t take credit cards because the charges can be disputed. Highlight or underline the important details in your Rental Agreement when you first read it then review it again a month before your departure. Is your flight is at 12:05 A.M. or P.M.? It’s a small detail that can be easily overlooked or forgotten if you booked your ticket far in advance. If your flight is at 12:05 A.M. you need to be at the airport 2-3 hours the night before the actual date of your flight. Be sure and check your flight information at least 3 days in advance. Don’t be that person who’s denied entry to a foreign country or who gets to the airport 12 hours after your flight has left or the one who arrives at your vacation rental red-faced because you don’t have your security deposit in cash. Follow these preventative measures and avoid last minute complications for a stress-free vacation. Who Wants a Movie Star Vacation? Me! I do! I want to feel like a movie star on vacation. In reality that feeling comes easily at the Discovery Beach House where we specialize in making you feel like a celebrity, but without all the Paparazzi. Apparently, this can be achieved be looking for a vacation on somewhere like Exceptional Villas, so you may be tempted to check them out in the hunt for a lavish time away. You and your entourage will enjoy a full house staff for your movie star vacation at the Discovery Beach House. We all know movie stars don’t do anything unless they want to. That’s why our staff and concierge are here to help meet your every need and make your vacation all fun and worry free. Just leave the details to us while you lay out by the pool and gaze at the sunset surrounded by nature — you’ll swear you’re on a movie set. Our concierge will treat you like a celebrity and set up whatever you need. Her service is included with your villa. If you want a rental car waiting for you at the airport, done. If you don’t feel like driving after a day of travel, we’ll have a private shuttle and driver at the airport waiting to pick you up. Or, we can have a rental car delivered right to your beach villa while you do the paperwork relaxing by the pool. 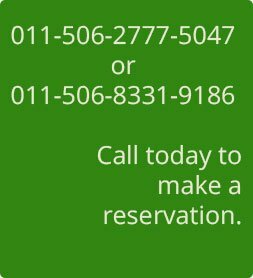 We can help you plan tours, dinner reservations, nightlife, and spa reservations. It’s so easy when you’re a star. You’ll feel like a pampered movie star when instead of going to a spa, the massage therapist arrives and asks, “Excuse me, where would you like to have your 90-minute massage, in your room, by the pool or on the beach?” How good will you feel when you finally get to catch some rays, work on your tan, lounge on a beach chair, laugh, and share good times with your friends and family? Is your drink empty? No worries. Catch the attention of one of the beach waiters. He’ll run over to get you whatever you want. You won’t have to lift a finger, just a hand to wave and say “Another please” or in Spanish “Otro, por favor.” Celebrities don’t spoil their fun by getting their own drinks. It will feel amazing not to cook or clean. Your concierge will feel like your new best friend and personal assistant. She can schedule a personal chef to prepare one, two, or even three meals a day for you. Your personal chef will do meal planning with you. Then, he’s off to do the shopping. He’ll prepare a fantastic meal for you and your entourage to enjoy in your movie set surroundings (only it’s all real). Manuela will keep your private beach getaway so clean, you won’t have to do a thing. You’re the star of your vacation at the Discovery Beach House. We look forward to pampering you in paradise. And if you start to miss the paparazzi, we’ll be happy to capture a few memories for you. Come and visit us. If you have any questions or would like more information, please contact us. Check out our YouTube Channel and follow our Blog, for fun and pertinent content about our three local hot spots; Manuel Antonio, Quepos, and the Marina. You’ll leave having experienced the best place to vacation in Costa Rica. Happy Hour for Your Health… It’s 5 o’clock Somewhere! Happy Hour for your health can be good for you. Cheers! I know what you’re thinking. Healthy, “no way.” But it can be healthier than you think. Many of our guests at the Discovery Beach House are amazed at how delicious the tropical cocktails are in Manuel Antonio and Quepos are. I recently did a video on with Sabrina, our concierge extraordinaire, on some of our favorite happy hour spots. Here’s a link if you would like to check out one of the Best Restaurants in Manuel Antonio. One of the great things I love about living here is all the fresh fruit and juices you come across. So, instead of ordering a rum and diet coke or beer, try something new and exotic. My favorites are the local cocktails made with 100% natural juices. They’re delicious and much healthier than sugary drinks and beer. Have you ever heard of guava? It’s a local fruit and it’s delicious. Guava is excellent for the immune system. Guava has about four times more Vitamin C than oranges. It’s also known as a great stress reliever. So, go ahead and relax with a guava margarita. There’s a reason why you feel so good after enjoying this cocktail; it’s not just the alcohol. It’s also great for those who suffer from diabetes because it’s low on the glycemic index. You won’t get the sugary spikes then crash like you would with soft drinks and energy drinks. Passion fruit is another favorite here, maracuyá (mah-rah-cuya) in Spanish. This wonderfully flavored fruit is high in Vitamin A. You already know it’s good for your eyes, but did you know it’s exceptional for your skin and helps smooth out wrinkles. Woo-hoo! Have that passion fruit daiquiri and drink to a younger looking you. Check out our video on Ronny’s Place and hear about how the Lonely Planet travel guide voted Ronny’s Place as having the “Best Sangria” in Costa Rica, why it’s the best, and, even better, it’s right here in Manuel Antonio. Want to try something really exotic and different? Try a local cocktail with guanabana, also known as soursop. It’s pure goodness in a glass. This unusual looking fruit has a spongy white interior with black almond-shaped seeds. Don’t judge this fruit by its cover. It looks like a weirdly-shaped, green football with spikes. It may not be pretty on the outside, but it’s tangy, sweet, and delicious on the inside. Guanabana juice is a perfect drink to enjoy on a hot day. The tropical flavor leaves you feeling refreshed and revitalized. It’s full of antioxidants, helps to lower blood pressure, and may help fight cancer. Are you starting to see a pattern here with these fresh juices helping to lower stress by now? Do you like it spicy? Then try the signature shot of Costa Rica called, “Chili Guaro.” Nearly every bar you visit will have it. Each place has their own recipe and version of the shot. Guaro is a clear distilled alcohol made from sugar cane, like rum. However, Guaro has the appearance and nominal flavor similar to vodka. The Chili Guaro is like having a spicy Bloody Mary in a shot. That’s the best way I can describe it. If you like spicy, then be sure to give it a shot at your next Happy Hour. One of my favorite things to drink is agua de pipa. You may know this as coconut water, and it’s one of the healthiest drinks on the planet. I drink it fresh just about every day. We have coconut palms right on the Discovery Beach House property, so if you see a ripe one, ask our gardener to prepare it for you. Here, they cut the top off the coconut with a machete, pop a straw in it, and enjoy. It doesn’t get any fresher than that. Add a shot of rum or vodka to turn it into a delicious, healthy cocktail. Vendors sell coconuts cold and fresh on the beach and around town. Give it a try. When you’ve finished drinking the refreshing liquid, ask the vendor to cut it open, so you can eat the coconut meat inside. It tastes much fresher than what you can buy from the store. Here’s another tip: agua de pipa is the BEST hangover cure. So if you wake up feeling bad from the previous night of partying, drink agua de pipa. Here’s a little-known fact, during WWII they used agua de pipa for blood plasma transfusions for wounded soldiers when the regular saline IVs were in short supply. That’s how good it is for you. So drink and be merry because here, even the cocktails are good for you. While at the Discovery Beach House, ask your concierge where to go for Happy Hour. We’ll help you find the best Happy Hours depending on the day of the week. So, get ready to enjoy your guilt-free vacation and have another tropical wonder cocktail. Now you see how Happy Hour in Manuel Antonio and Quepos can be healthy for you. Your vacation at the Discovery Beach House will leave you rejuvenated, happier, and healthier than when you arrived. You’ll love all the fresh exotic flavors you can find here. So, here’s to your health. Cheers!